Monday’s are always a bit of a downer, but I have a sneaking suspicion that today might be great if you start off with Sea Pinks. They just dropped Rockpool Blues, their 7th album, and its everything cool that a Monday needs. It’s energetic and joyous in spirit; it takes on the heavy topic of feeling like a kid inside, even when confronting the responsibilities of adulthood. Crystalline guitar notes ring throughout, while the drumming steadies the whole outfit. As a huge sucker for guitar pop, this is how we should all start our week. 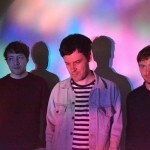 If ever Sea Pinks were going to fashion themselves as post-punk(ers), then perhaps this new single is precisely the tune that would draw that line in the sand. It opens with this bobbing bass line that functions underneath a dancing guitar line, jumping in and out of the mix. Momentarily, we hit a chorus where euphoric pop moments explode through the speakers, just before the waves recede to, once again, reveal the post-punk vibel the song moves back and forth between those two movements, always on point. The group will release their 7th official LP, Rockpool Blue, on Septmber 28th via their label, CF Records. 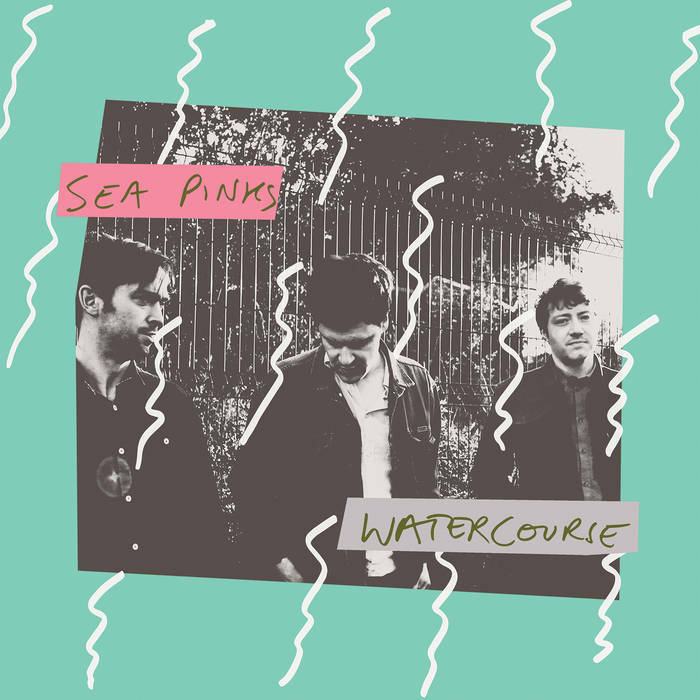 Sea Pinks have always had a special place in my heart, and a reserved spot in my listening rotations…that’s not likely to change with a new album on the horizon. Our first listen is this new single below, and it feels like a matured piece of pop, which makes senses as this is the group’s 7th album. The guitar work jangles and twinkles in the front half of the track, allowing the vocals to sit back with indifference and casualness. The edgy middling section and closing discord gives the song an added kick, breaking up the tune just enough to keep the whole thing interesting. Rockpool Blue is the title of the new LP, and it drops on September 28th. 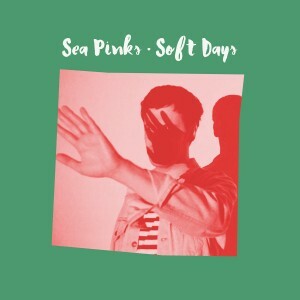 I’ve been a long time supporter of Sea Pinks, as well as the band’s label, CF Records. 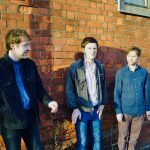 Today, they quietly dropped a new single that they recently completed in their practice space; it offers a glance at a band who continue to refine their sound. Neil admits the song took a definite happy turn on purpose; even going so far as to claim that it’s best listened to whilst participating in some outdoor activity. Well, in Austin, it’s in the upper 70s, slight breeze, and perfect for a walk while jamming this tune really loud. Here’s to hoping you can find the same space/activity to enjoy your day! 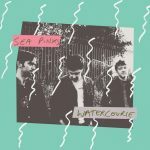 Long have we enjoyed the music of Sea Pinks, and after Watercourse was released in early Summer, I thought we were done for the year. But, I’m happy to be wrong after the band announced Minimum Wage – BBC Sessions (& Others). It’s a collection of the band’s 8 BBC Sessions, as well as a few new ones recorded while the band had a day off in Amsterdam. This track has the feeling of the live setting, dropping these dirty guitar licks and gang vocals to the mix; it still manages to carry a hook too! You can get your hands on this album on December 8th! Sea Pinks are one of my favorite bands that I wish I could get more people into, if only to see their faces light up with joy. They just dropped a single from their next LP, and while it still has remnants of the group’s early work, I think it also shows just how far they’ve pushed themselves with this new release. Machine gun drums and jangling guitar notes, but you almost get the feeling that 60s pop played a part in the construction of everything on Watercourse. It’s good to see progression, as well as slight nods to the bands early hits…look for the LP this Friday via CF Records. One of our favorite acts out of Belfast have just announced that they’ve got a new album coming out in May, so naturally we’re here to share the new track. “Into Nowhere” seems to pick up right where Sea Pinks left off withSoft Days, reintroducing you to those tightly wound, sun bleached, guitar riffs, and soft vocals. As the song progresses, it seems like the guitar riffs carry on in an endless loop, but they really pick up to drive things home nearing the end of the song. It’s a perfectly breezy indie rock track, and I suggest you take a listen and then get ready for their new album. Watercourse will be out May 26th via CF Records. 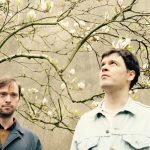 Belfast’s Sea Pinks have become a staple in my listening catalogue over the past few years; its strange to think that a band who has only been around for six years has already been so profoundly prolific, but it seems that releasing a solid LP almost every year is just the way Sea Pinks roll. 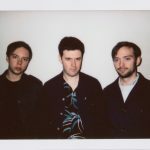 Soft Days is the latest of these stunning releases, and while more subdued and grounded jangly rock, the band finds yet another way to hook you and keep you interested. This tightening up can be felt from the albums initiation. Opening number, (I Dont Feel Like) Giving In, begins slowly and with a bit of drama: some small guitar and soft building drums light up the path for a good minute of the track before the band launches in with those cutting guitar riffs and the vocals of Neil Brogan. The guitars are bleached out surf jangle to a T, interchanging with a bit of distortion on the chorus for a perfect pop arch. Immediately, youll notice the shift in focus from those orchestral elements that the band employed in the past, to the dueling guitars and their ceaseless jangle. At the end of the first number, you get the feeling that whats to come will be great. 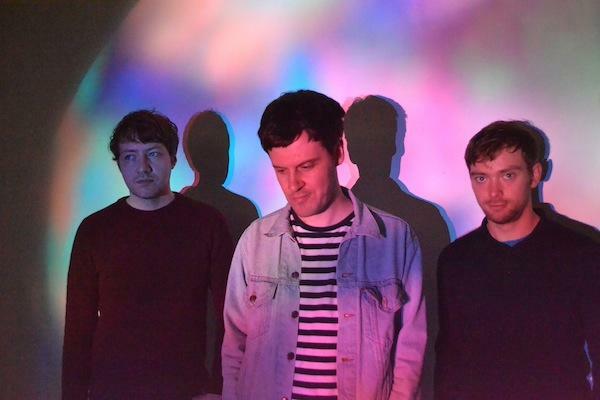 And this intuition isnt wrong; Sea Pinks trade off track after track of spunky jangle pop with more subdued tunes, but its all beachy and lovely. Of course you have stunning singles that fulfill your rock and roll needs like Depth of Field and Yr Horoscope. The former employs the luke-warm vocals of Brogan and pushes them to a new height on the chorus, and the latter reminds me a bit of The Vaccines with its quick lipped lyrics and staccato drums. 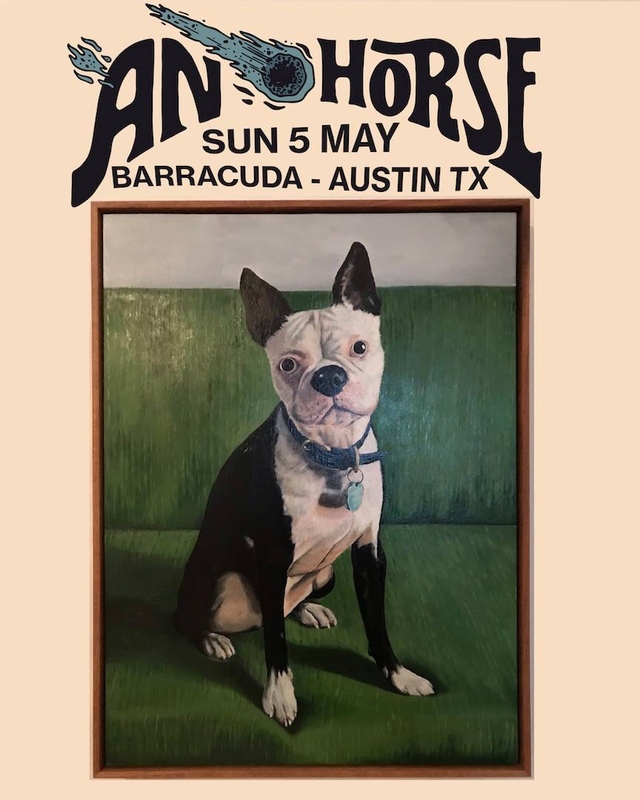 These bright flamed singles are balanced nicely with slower burning tracks like Green With Envy and I Wont Let Go, on which the guitar riffs meander more than shred, reminding you of beachy sunsets with a cool sea breeze coming off the water. 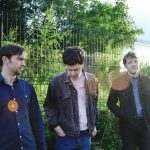 Soft Days is an album that you wont tire of easily. You will reach its end and feel ready to jump right back to the beginningit has the proper amount of catchy singles and deeper cuts to keep you interested. I will be spinning this one through the seasons for sure. Sure, we hit up this dreamy new song from Sea Pinks a few weeks ago, but we wanted to remind you of its greatness by way of this video the band just released over the holiday break. It’s interesting, as the band is playing behind some psychedelic washes on the wall, which seems to be a little different than the feel of the track. But, it’s still a solid performance video, hopefully hipping folks to the band’s sound prior to the release of their new record, Soft Days, which hits January 8th via CF Records.